Stay in the Heart of Barcelona. 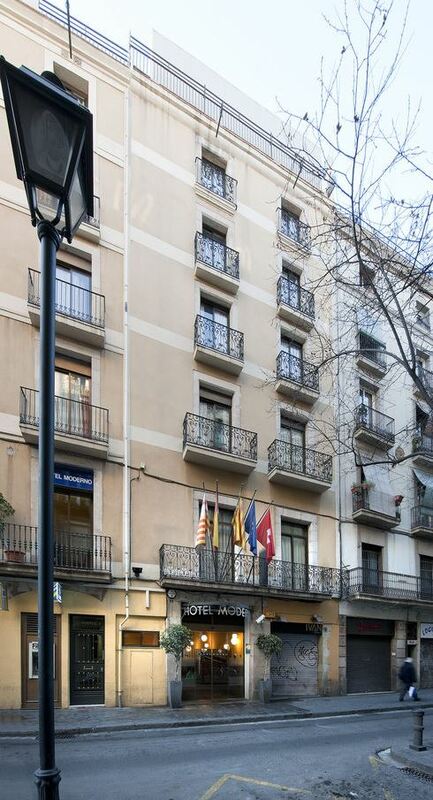 Hotel Moderno has a central location, on a side street just 65 ft from Barcelona’s famous Las Ramblas. It offers free breakfast and free Wi-Fi access. 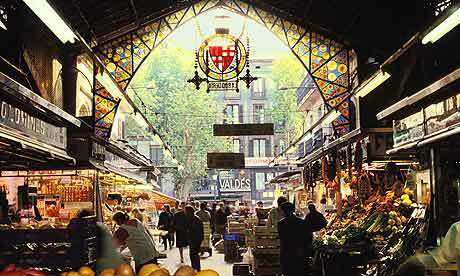 The hotel is just a short walk from the Boquería Market on La Rambla. Plaza de Catalunya and the city’s cathedral are just a short walk away. The hotel’s City Tour offer is ideal for exploring the city. There is also a ticket service. The 3 computers in the lobby can be used for free. The Moderno has a 24-hour front desk and offers express check-in and check-out. Ciutat Vella is a great choice for travelers interested in roman ruins, opera and people watching. Please note that the hotel is not kosher, but located nearby a kosher restaurant from a distance 77m. 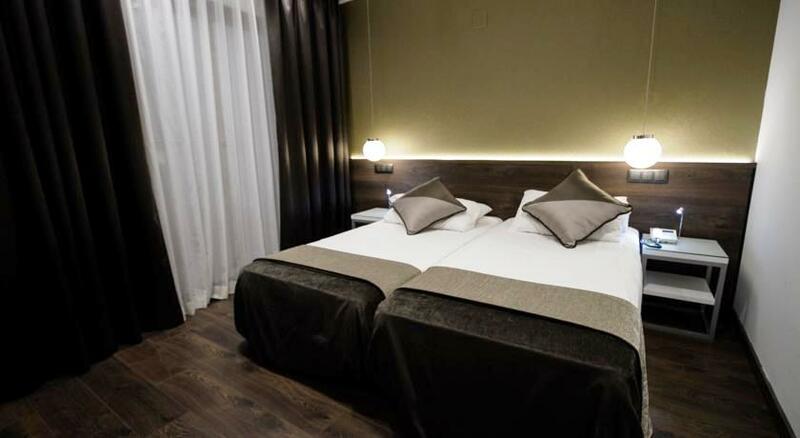 Located in the heart of Barcelona, Hotel Moderno is a unique hotel with more than 20 years experience in the hospitality industry. Our team is passionate by tourism and is prepared to help you to plan your stay. We love delivering exceptional experiences at any time, so that you can enjoy your visit to the full. 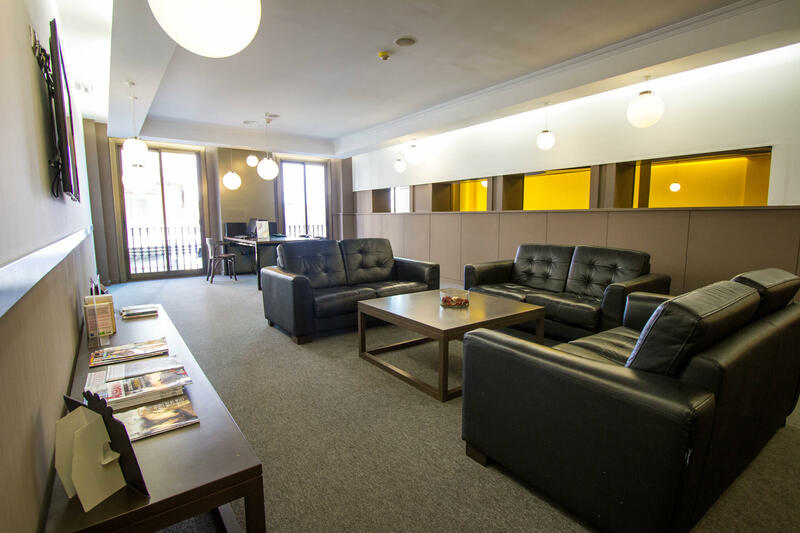 The hotel has a privileged location only 5 minutes walk from Plaza Catalunya and the Ramblas. Warning ! The hotel is not kosher, but a kosher restaurant (1 minute walk) is located next to the hotel. The hotel is near La Boquería Market of Barcelona. 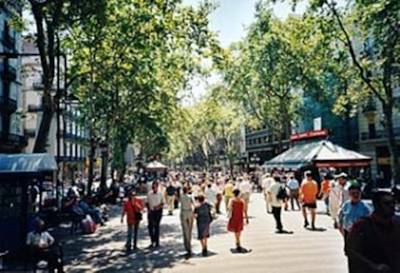 It has a privileged location for visiting Gaudís modernist gems, the Ciutat Vella and Raval, for wandering around the narrow streets of the city, for going shopping and for visiting La Boquería Market, Catalunya Square, Paseo de Gracia. 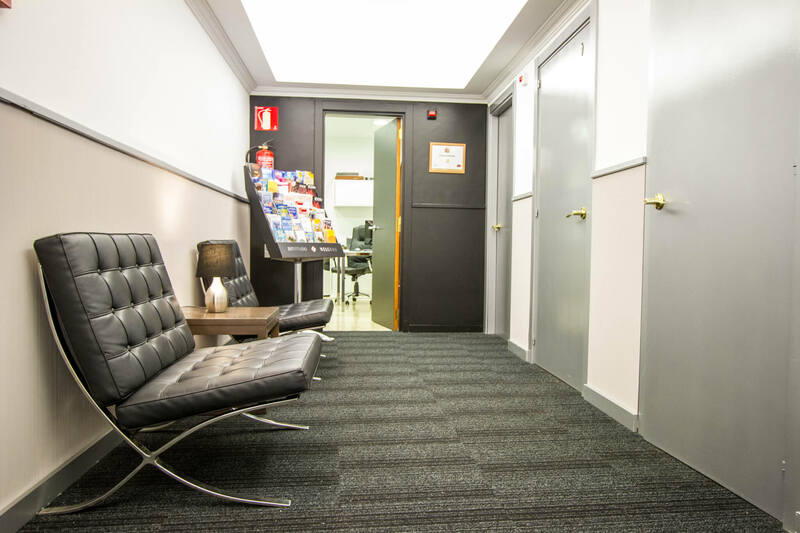 At our hotel you will be close to all the tourist attractions of Barcelona. La Rambla, the Gothic Quarter Market and long pedestrian street and all around there are plenty of parking spaces, street stalls, restaurants and cafes and a lively and unique Barcelona atmosphere. Picasso Museum: The museum focuses on illustrations and works less known to the artist. It will allow you to take a look at other aspects of the artist׳s life and legacy. The museum is housed in a beautiful Gothic style house. Plaza España is the main square of the region and next to it is the magic fountain. It is essentially a big show of waterfalls, music, fire and colors (in the evening). One of the most beautiful parks in Barcelona that commemorates the work and genius of Gaudí. Perfect place for children. It is imperative to climb to the highest point of the spectacular view of the city. An impressive square in the Gothic Quarter, Plaza Real is a great place to soak up the atmosphere of the city, admire the impressive square and sit in one of the cafes around the square and watch the fountain. El Prat Barcelona Airport is close to the hotel. And there are many daily flights to Barcelona. From the airport take the train from Terminal B, after two stops get off at the station Catalunya-Fontanella. You will be a few minutes walk from the Trinitat Nova train station. Then from here and after 4 stations get off at the Liceu station. Walk finally three minutes to the hotel. By car, the journey from the airport takes less than half an hour. You can take a taxi from the field to the hotel, which costs about 40 EUR.